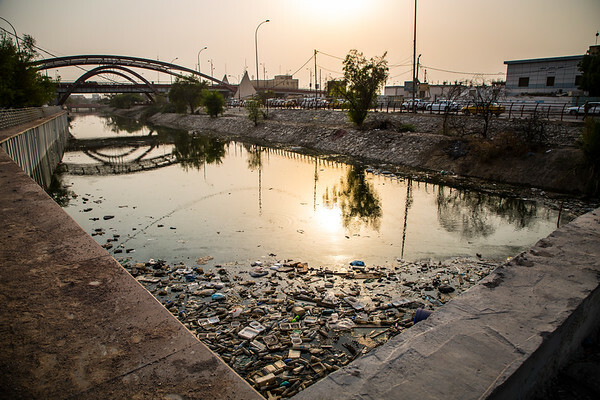 There are more than 40 canals in Basra. Every single one is highly concentrated with bacteria, chemicals, and salt. Most of them are littered with trash, plastic and debris.